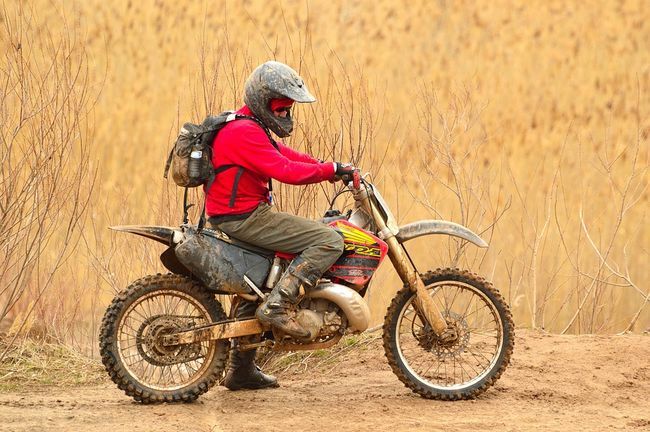 Off-road riding is an individualized activity. 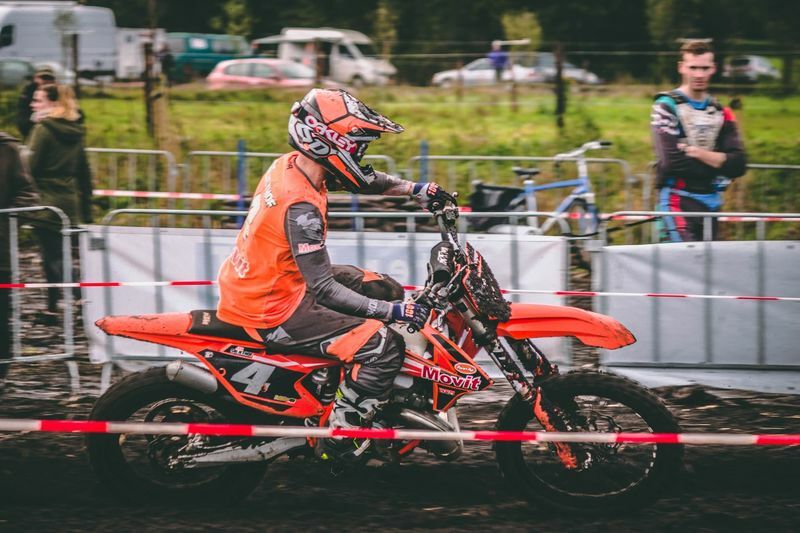 Some people spend half their riding time – or more – on pavement, while others ferry their machines to motocross tracks and ride exclusively on dirt. There are also inherent differences between the topography of locations to consider. The differences in how and what we ride limits our choices in gear, especially when it comes to tires. To get the best dirt bike tires, you have to be realistic about what you intend to do on your machine. Let’s look more closely at what differentiates one off-road tire from another and see if we can get the right skins spooned onto your bike for your next adventure. The MX907HP is the type of sticky tire that blue-groove terrain calls for. High-tech sipes and dimples give it functionality to go with a purpose-built appearance. 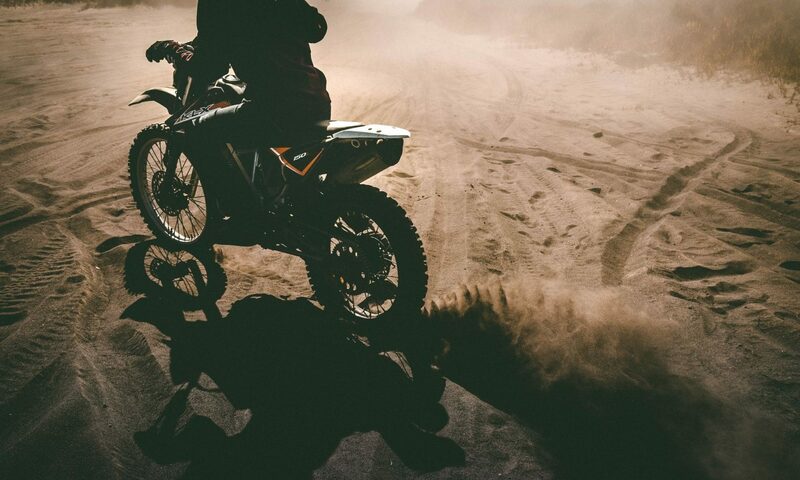 There are three different types of dirt bike tire, each intended to be ridden on a different type of terrain: hard, intermediate and soft. The hardness refers to the quality of the terrain, not the hardness of the tire itself. So soft dirt bike tires are for soft terrain and so on. While there is a difference in rubber compounds, the key difference between the three types is the tread pattern and the lug height. Let’s look at each type a little closer. These tires are intended for use on packed tracks and other hard surfaces. The rubber compounds of these tend to be softer than they are on other types of tires. The lugs will be shorter than they are on the other types as well, and they will typically be closer together. This combination helps give the tire the most possible grip on hard, slick surfaces. If you have sections of trail facing you like in this video, you need hard-terrain tires. It is possible to ride hard-terrain tires on softer materials, but the fun factor will go down dramatically. The lack of space between the lugs will prevent them from getting a firm grip on loose materials and the lugs can actually rip from the tire carcass. As a result you will have to reduce your speed to keep from slipping or damaging the tire. Airing down is another option to improve traction, though not always a safe one on every tire. This Dirt Rider article explains the art of air pressure adjustment. Soft terrain includes mud, gravel, sand and other loose materials. If you’re just starting out in the soft stuff, this Cycle World article will help you learn to stay upright. And a good set of soft-terrain tires will too. These tires will have the tallest lugs with the most space between them. The intention is for the lugs to dig deep into the soft terrain and bite into it. The spread out lugs also enable constant traction by discouraging the mud or dirt from clogging the tread. Riding soft tires on other terrains is a recipe for a damaged tire. The rubber compounds in these tires tend to run harder than they do on tires meant for the other terrain types. 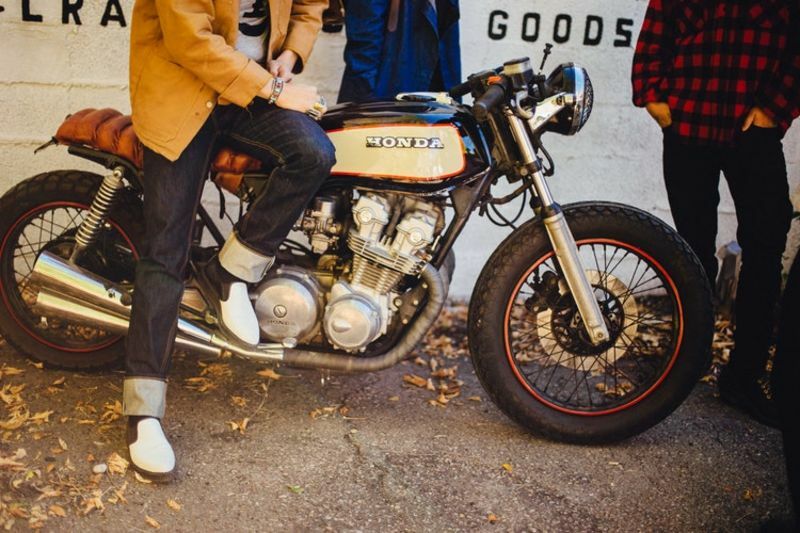 When ridden on harder surfaces, the lugs on soft tires may break off of the tire. As the name implies, intermediate tires are intended for use on a variety of terrains. The rubber compound is usually neither soft nor hard. The lugs are also spaced farther apart than they are on hard-terrain tires but closer than those on soft tires. The height of the lugs is between the other two types as well. Intermediate tires are the choice for riders who enjoy riding on a variety of terrains and surfaces. They obviously won’t shine on either very soft or very hard surfaces, but they allow you to ride practically anywhere without forcing a tire change. Dual sport riding is utilizing a combination of both on- and off-road terrain. Manufacturers of tires for these purposes typically use a percentage to tell the customer how much off each riding the tires are designed to handle. So, a 50/50 tire is meant for half on- and half off-road use. The first number is always the road-use percentage. 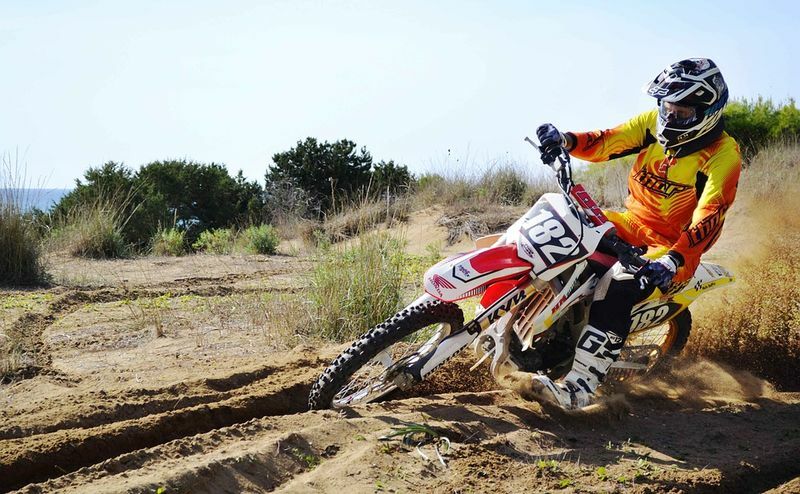 If you spend all of your riding time on prepared tracks, you should be looking for motocross tires. These skins will have the most aggressive knobs. Don’t expect a DOT rating, either. Even if they were used on pavement, you could expect a lot of chunking (broken lugs) and a short tire life. If your tracks are a little more extreme, a trials tire may better suit your needs. Trail riding offers the most diverse terrains. One trail may be highly technical, traversing wooded areas and streams, while another may allow for wide-open throttles for extended periods of time. As such, the tires meant for trail riding show the most diversity in design. Manufacturers give the size of the tires with three numbers in a string. The first number (110, 120, etc.) is the section width, or the width from sidewall to sidewall. The second number is the aspect ratio, which is the height of the tire. The aspect ratio is given as a percentage of the section width. The last number is the inside diameter of the tire, which corresponds to the outside diameter of the rim of the wheel. Some manufacturers give the tire size in SAE units instead of metric. In this case, there will be only two numbers. The first number is the section width, which is given in inches. The second number is the inside diameter of the tire. The aspect ratio is not normally given in this case. 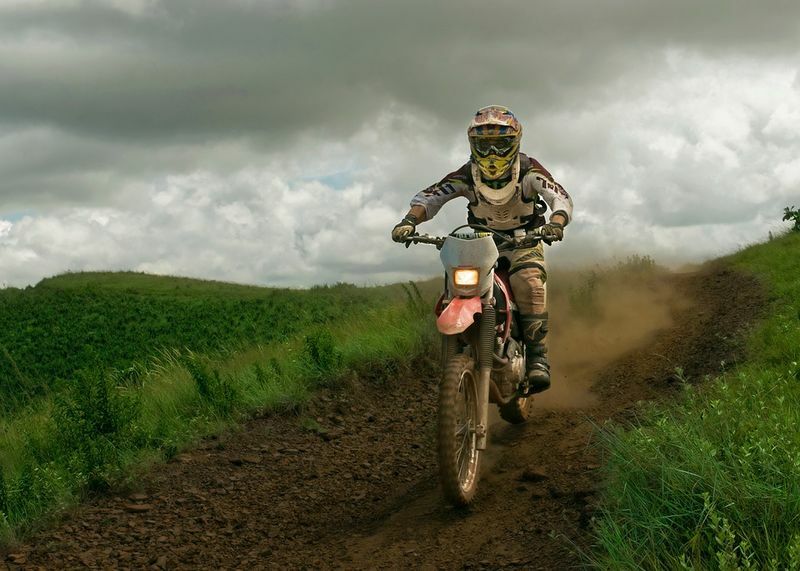 If you plan to operate a dirt bike on a public road, its tires must be approved by the Department of Transportation. Approved tires will have a DOT stamp located on the sidewall. The tread on DOT-approved tires is not normally very aggressive, and the compounds tend to run soft so the tires will grip pavement well. Continental’s Twinduro TKC80 might be the best dirt bike tire for trail riding for on large-bore dirt bikes and ADVs, but a pure dirt bike tire it is not. These tires are designed for the larger machines out there, such as a Kawasaki KLR650 or Honda XR650L. They are suitable for highway use, but the TKC80s are a true 40/60 tire. The lug profile and spacing on the TKC80s is aggressive for such a capable road tire. These self-cleaning tires throw off dirt and mud, maintaining superior grip in soft terrains. They also boast some of the most confidence-inspiring corner grip of any off-road tire. Constructing a knobby that hooks up in the dirt is one thing, but these Continentals also provide excellent grip on pavement as well. It’s no wonder they’re OEM equipment on many of today’s best-selling ADVs. Much of the Twinduro’s tacky traction comes from its soft compound. That softness makes these skins well-suited for firm terrains and roads. Unfortunately, it also means the lugs wear away relatively quickly. Four thousand miles is a good lifespan for the TKC80s, but they’ll be 4000 miles spent in hooked up bliss. These knobbies will up the aggressiveness of your ADV’s looks and abilities. More than just a mean face, the Continental TKC80 is synonymous with dual-sport riding in tough conditions. Knobbies are notoriously unstable on pavement, yet enduros make great commuter bikes. So what are riders who spend half their time on dirt and the other half on roads to do? The answer is to invest in a 50-50 tire like Kenda’s K270. The evenly and tightly spaced lugs on the K270 encourage smooth wear on hard surfaces. They have a rounded profile, similar to that of a sport tire. The result is tire that sticks to pavement, allowing harder cornering on the street than many other dual-sport tires can offer. Extended ranges of 6000 miles are possible, but hard riding will drop that range down to about 4000 miles. Off road, the K270 is a capable trail tire. Tubes add a bit of peace of mind, and the lugs can take extended hours of semi-hard riding. They will cake in the soft stuff, especially muddy conditions, but these skins shrug off hard terrain. Grip and stability improves with wear, though you can expect some squirreliness for the first hundred miles or so. When cement links the trails you ride (think back-canyon fire roads), a tire like Kenda’s K270 is a necessity. Able to grip-n-slip at will, it can also handle pretty impressive road speeds as well. The Maxxcross IT handles moderately soft or hard terrain with precision. A dual-compound carcass takes street tire tech to the dirt for a true multi-tasking skin. The beauty of the Maxxcross IT is its ability to multitask. 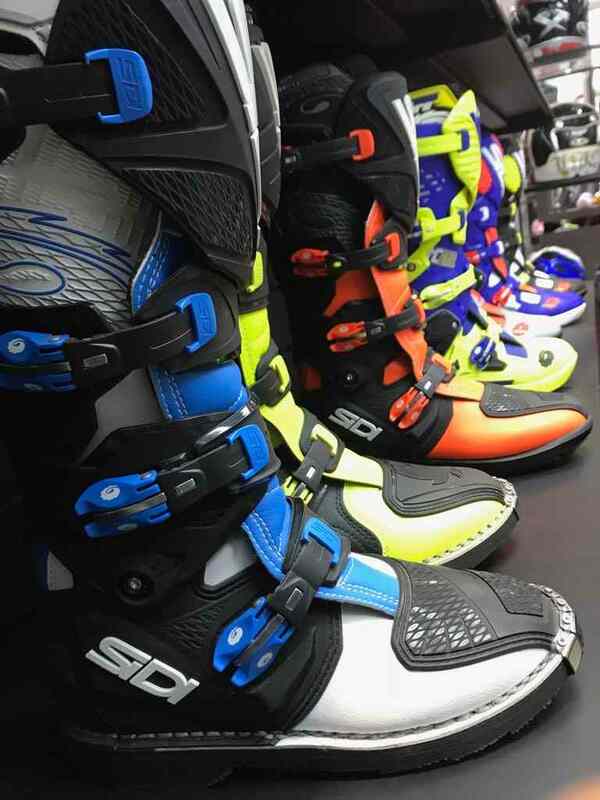 This is the perfect skin for the rider who hits the track one weekend and the trails the next. Dual-compound lugs give these tires the ability to not just transition to different surfaces, but to dominate them all. Wide spaces between lugs enables self-cleaning, but traction on hard surfaces is still impressive thanks to soft center patches. Oftentimes, the shoulder knobs on a motocross tire will feel markedly different from the center patch lugs. 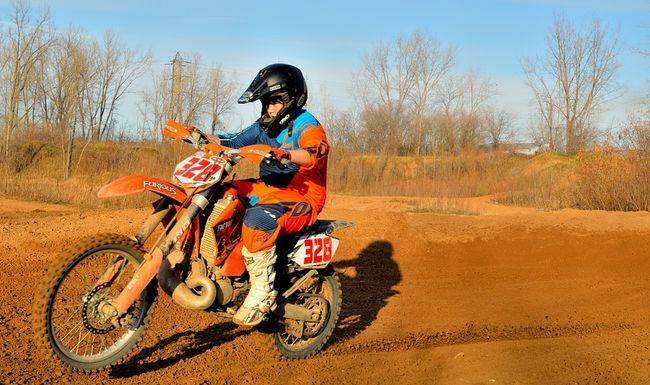 Transitions into lean angles can feel like a jolt, leaving riders uneasy about cornering. Not so on the Maxxcross IT. These tires encourage steep lean angles, with seamless transitions that instill confidence. Part of that seamlessness stems from the smooth lug geometry, but the dual compounds also play a role. The center lugs on both the front and rear feature a softer compound than the shoulders, though the front tire’s soft compound is a crown over harder lugs. Front brakes are more effective with the extra grip up front. The soft center patch on the rear enables hookup on hole shots, while the stiffer shoulder knobs prevent chunking. The K785’s handling changes dramatically with a direction switch. It is a tough intermediate tire in one direction and a mud slinger in the other, making it great for tracks that rut up during heats. Searching for the best intermediate dirt bike tire is all well and good, but in the loosest terrains, only a soft tire will do. But what if it were possible to have the best of both worlds? The answer to that conundrum comes in the form of Kenda’s do-it-all Millville II. The key to the K785’s versatility is a reversible direction. In one direction, you have a superior intermediate tire. The lug edges bite into semi-packed soils, while raised bars between the knobs prevent things from getting squirrely. Flip the tire in the other direction and you have one of the best skins available for loose, loamy tracks. Tire longevity for the Millville II is phenomenal, with chunking practically nonexistent even after several weekends of racing. Riders rave about the K785’s ability to handle deep ruts when oriented toward the soft side, though the intermediate side handles everything but loose desert sand. MX racers who don’t want to swap tires between heats need look no further. Hard-packed dirt is one thing, but if you ride on blue-groove terrain, you need a tire built to purpose. Sedona’s MX907HP tire is a proven hard-pack warrior. On smooth surfaces a wide footprint becomes critical to maintaining traction, especially when diving on the brakes. The MX907’s knobs have indentations and sipes that bite onto surfaces as the soft-compound knobs spread under a load. Those knobs are laid out diagonally along the cross section to maximize cornering grip, getting gradually more sever at more drastic lean angles. Of course, riding on hard pack isn’t just about grip. 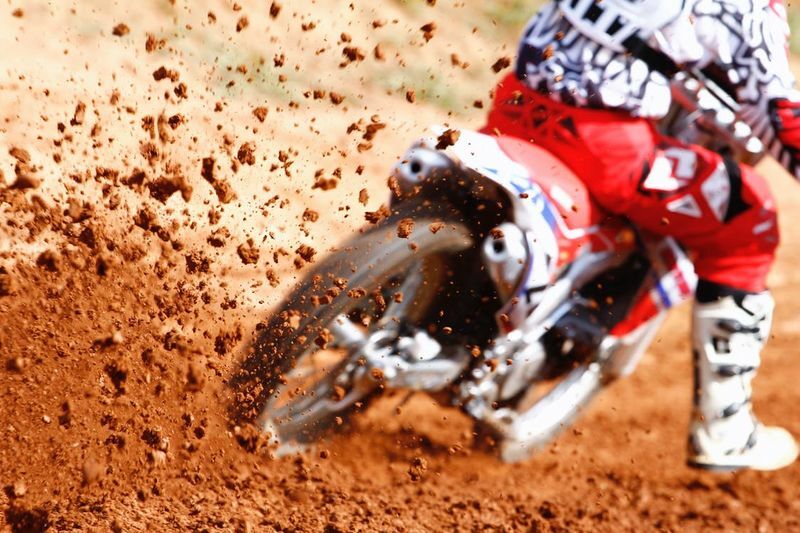 The tire must also absorb the serious forces involved with motocross riding – jumps, whoops, triples, etc. Sedona uses a four-ply carcass to absorb those blows, remaining rigid where possible and compliant where necessary. And while chunking is an ever-present on any terrain, the MX907HP holds onto its lugs better than most when used exclusively on the hard stuff. 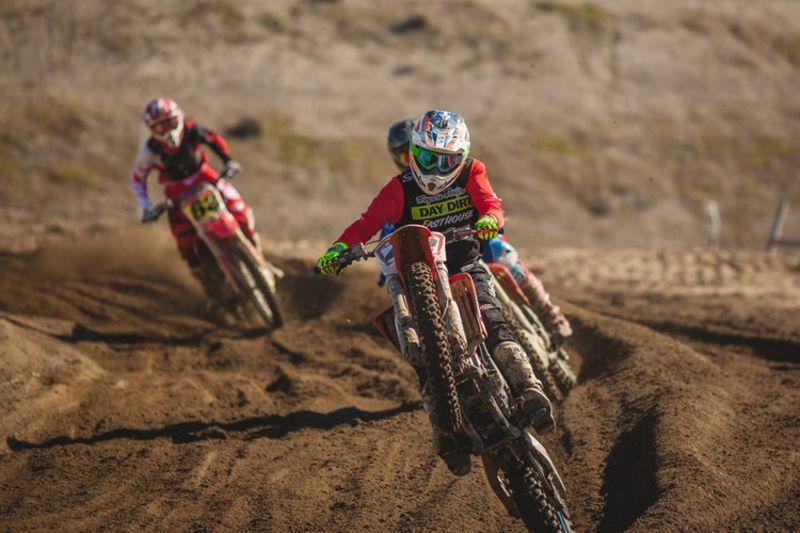 Dual-sport and motocross riders are a hard lot to please, mainly because everyone’s needs are so individualized. Still, the most people will find the most happiness with a tire like the Maxxis Maxxcross IT. The dual compounds meant for intermediate terrain make it the most versatile and longest lasting off-road tire on this list. Bang for the buck with the ability to handle a variety of changing track conditions – What more could anyone want? Next PostNext WHEN SHOULD I USE THE FRONT BRAKE?